Remember May? When summer felt so fresh and practically all I did was read, read, read? Yeah. That was nice. June didn't work quite like that. I love summer, but the new routine of the new season has clicked in and things are very busy. The online courses I'm teaching are keeping me occupied and life has been a little hectic. Next week, we're heading to Michigan to spend time with Kevin's family and I'm hoping in the midst of everything going on there I'll be able to sneak in a few books. Plus, we'll be meeting our brand new nephew for the first time ever and I'm pumped about that! I have a book for him all wrapped and ready to go. Mostly, these days, I feel like I'm getting a lot of random things done. I reorganized our pantry. I reorganized my dresser drawers. I'm doing major lesson planning overhauls for the fall. I started volunteering regularly. I'm looking for jobs. Oh, yeah, and I'm exercising. A lot. At the start of June, I finally decided to buckle down when it comes to my health. I'm not particularly unhealthy, but I haven't been in good shape in years and I've put on 30 pounds since 2010. I'm still within a healthy weight range for my height, but I'm not comfortable with how I look these days and I finally decided to do something about it. It's not about the number on the scale, but I'm seeing that move some and it's been exciting. I'm exercising every day, sometimes twice a day. I'm counting calories. Eating healthier. The whole deal. I'm working insanely hard and I have a great support system in Kevin and in one of my dear friends who is serving as my de facto personal trainer. It's such hard work and it takes up so much of my time. I hate basically every second of it. However, exercise is becoming a habit and I'm getting stronger. I can run farther than I have ever been able to before (still not far) and I'm learning a lot about what a healthy, balanced diet looks like for me. That's the key, I think: balance. I want this to be sustainable, to be a lifestyle change. As I get ready to turn 30, I know it will only get harder from here. I'd love to be at my goal weight by the end of the year - or at least to a place where I feel strong and healthy. So, not many books this month, but I've been spending my time well and profitably. That's a win in my book. What I Thought: This is one of the novels from the list that I just feel ambivalent about after finishing it. I liked the beginning. I liked the stories about the small village in which protagonist Salim lived. I liked hearing about the villagers and the way of life in the antiquated world they inhabited. However, as the town grows and original characters fade out and make way for different people in Salim's life, I struggled to stay engaged. It became about political intrigue and illicit affairs rather than family connections and village life. I wasn't as interested in that. Or, at least, I did not expect it and had become attached to the first part of the novel. I did definitely enjoy reading a more diverse selection from the list. 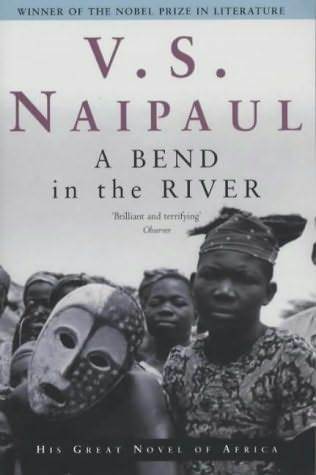 Naipaul brings a very different perspective of the world to his writing and his characters reflect that. It's a nice change. 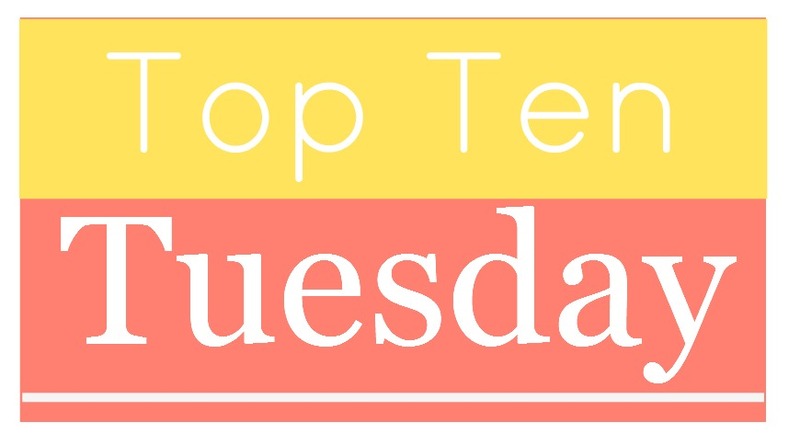 Every once in a while, I like to jump in and join The Broke and the Bookish family for Top Ten Tuesday (these are the same friends that do #TBTBSanta in December!). It's an opportunity for book bloggers around the Internet to talk about the same thing once a week. 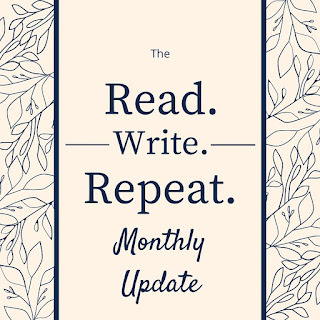 It's a fun way to connect and also to talk books with you Read.Write.Repeat. readers. 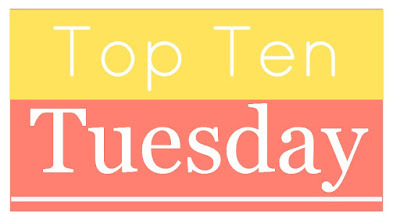 Please jump in with your additions to my Top Ten list! It all started with one GIF and (d)evolved from there. Some are a bit of a stretch, I know, but why not? It's all for fun anyway! Summary: After escaping the maze, Thomas, Teresa, and the others are facing a new challenge. They head across the barren land in hopes of finding refuge from WICKED. What I Thought: Sigh. This movie series seemed doomed from the start. I talked about this a lot with the first movie (follow the link to that Movie Monday if you want a delightful High School Musical 2 flashback). There were too many changes from the book. 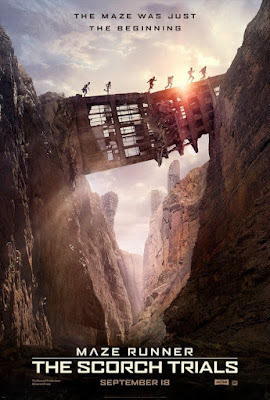 I didn't even like the book version of The Scorch Trials that much, so it follows that the story plus the sloppy rendition of it into film wouldn't work for me. How I Found It: I've been reading Fisher's writings since her death. Summary: Fisher returns with another memoir, a look at her joys and tragedies through her unique comedic lens. 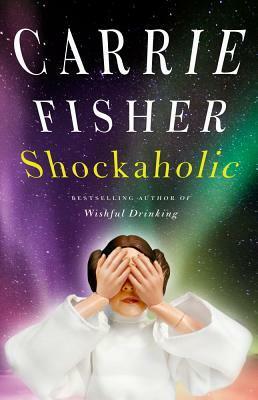 What I Thought: I really enjoyed Wishful Drinking, the memoir Fisher wrote before this one. It was the first thing of Fisher's I had read and it certainly whet my appetite for more. Her untimely passing at the end of last year was so tragic and I think made many of us want to know her more as a person, beyond the fictional persona of Princess Leia. Isn't is sad that we often don't recognize people for their talents until they are gone? Fisher actually references her inevitable death several times in this book, which was a bit disconcerting considering her recent passing. She certainly had no qualms about discussing the eventuality, but it makes it sadder in many ways to have seen which of her predictions came true and which did not. How I Found It: It's a well-known, popular novel. 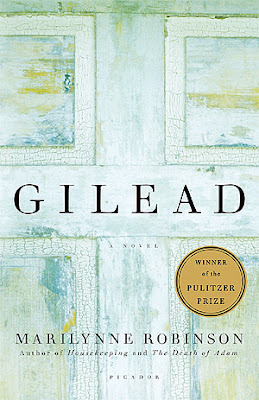 Summary: An elderly father writes to his young son about life, faith, and their small town of Gilead, Iowa. 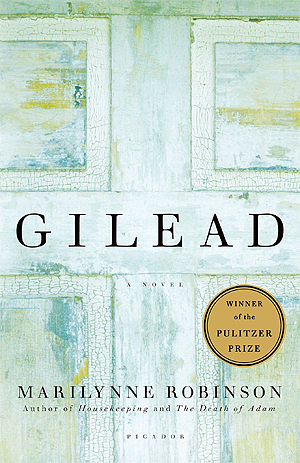 What I Thought: This Pulitzer Prize winner has long been on my list to read. I know so many have raved about it, including Barack Obama and Rachel Held Evans. Now, having read the book, I understand why. It's literary fiction at it's finest. It's a beautiful book about family, faith, and friendship. It's set in the mid-1900s and told from the perspective of an elderly pastor, John Ames. Ames is purportedly writing to his young son, the blessing of a late-in-life marriage. One could certainly argue that not much actually happens over the course of the book. A fellow pastor and friend's long lost son returns home and Ames struggles with his presence in town and his relationship to both his own family and the Ames family. Beyond that, there is little actual plot. Rather, the book is about ordinary life, the beauty in mundanity, the reflexions of a man who has reached the end of his life and is assessing its virtue. How I Found It: I've loved the series since childhood. Summary: Once again, the Enchanted Forest is under threat from a bunch of magic-stealing wizards. Queen Cimorene heads out with her motley crew of friends in hopes of resolving the situation before it's too late. 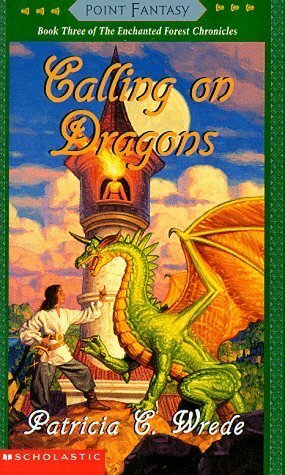 What I Thought: Though I read the first book in this series countless times as a child, I think I only ever made it this far once. In fact, I'm not entirely sure I ever even read the last book. We'll see how much, if any, of it is familiar to me once I read it. I definitely did not remember much of this one, although the ending was familiar. Since I'm not sure I have ever read the last book in the series, I don't want to speak for it yet. Of the first three books, though, I find this one to be the weakest. Morwen the witch, a character who I genuinely adore, plays the central role rather than Cimorine. I think that was a miscalculation on Wrede's part. Fiesty Princess Cimorene is what endeared me to the series to begin with. I like Morwen quite a bit as well, even more now that I am an adult and her sensibility seems impressive rather than droll, but she doesn't carry the story in the same way. I find her cadre of cats excessive and a bit obnoxious, though I do like their dry humor. Summary: When Gilman set off on a round-the-world trip with her college friend Claire, she had no idea what she was getting herself into. Their first stop was 1980s Communist China, hardly an easy start. It proved to be a far more challenging place than either of the girls anticipated, though not for the reasons they would have expected. What I Thought: This book is such an interesting journey. It starts out largely as a travel memoir. Two recent college graduates embark on a trip around the world rather than get jobs after graduation. As a display of their intense hubris, they start with Communist China. The first chapters focus on the culture shock and just what an undertaking it was to travel to China during the 1980s. Though China has its challenges now, to be sure, being a Westerner within its boarders was an even more intense experience back then. Gilman's descriptions of the dirty accommodations, public "bathrooms" (a.k.a. troughs over which multiple people would squat at once), and intense language barriers felt overwhelming just to read about. It reminded me on the simplest level of my trip to Japan in high school. There were huge cultural barriers, but at least we had clean, safe places to stay and guides to help us navigate the world around us. It's easy to understand why the hubris of Gilman and her friend Claire fell away more with each day of their trip. It wasn't just their hubris that began to disintegrate, however. It starts with slight suggestions early in the book. Something is not quite right with Claire. The stress of the experience is impacting her in a different way than it is Gilman. Or maybe Gilman just doesn't know her college friend as well as she thought she did. As the book goes on, it becomes less and less about the travel and more and more about two girls in a desperate and dangerous situation miles from home. 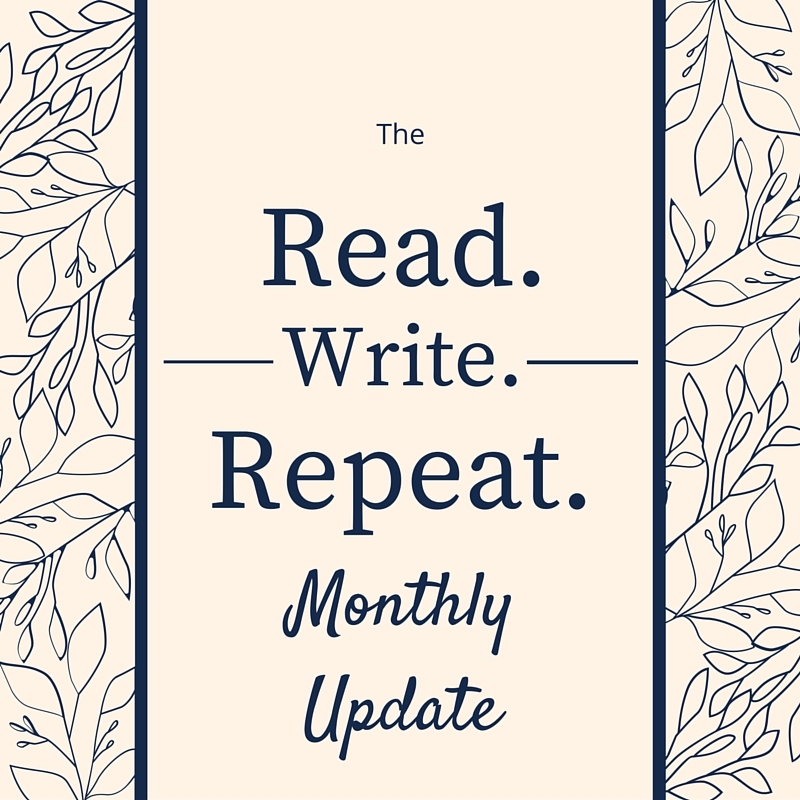 How I Found It: It's been on my TBR since somewhere around when I started this blog. Summary: In a world where every person carries a rank between I and VII, equality is an illusion of the system. It's nearly impossible to rise above your station and you certainly have no hope of reaching the upper echelons of power. So, when Kitty Doe, a III, finds herself swept into the world of the VIIs, she must adapt quickly or face deadly consequences. What I Thought: Over the years, I have read a lot of dystopian YA novels. It's such a huge subgenre within the world of young adult literature. For goodness sake, I even did my masters thesis on The Hunger Games. Nevertheless, I have a really high standard for these books. It's so easy for them to go badly for me. It takes a lot for me to really fall for a series. I enter each new series with trepidation and hope for the best. 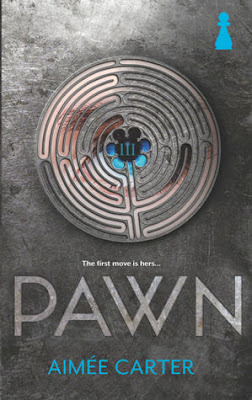 I have had Pawn on my TBR for literally years. I think it was one of the very first books I added to my list when I started this blog over five years ago. Somehow, though, every time it has come available through my library's digital collection, it hasn't seemed right for the moment. I'm trying to do a better job lately, though, of reading intentionally through my list, even if something doesn't feel ideal for that moment. So, here we are. Years since adding it, I've finally completed it. It was good. It was. But not great. 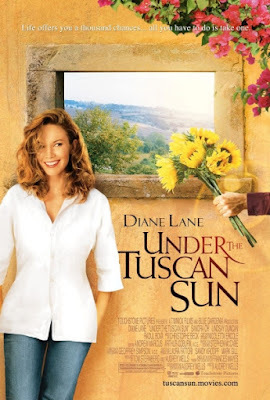 Summary: A newly divorced woman heads to Italy at the insistence of her friends. There, she finds new life in a villa and the Italian community surrounding it. What I Thought: I totally fell in love with the memoir upon which this film is very loosely based. It was charming and engaging and left me wanting to book tickets to Tuscany immediately. The movie was fine, not bad. But certainly not as magical as the book. For one thing, they've totally changed the story. 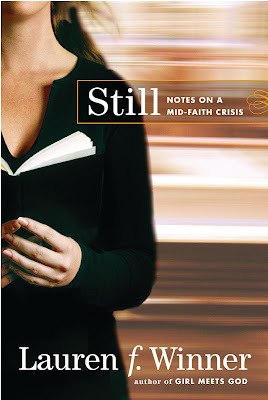 Summary: In the wake of her mother's death and her divorce, Winner contemplates faith and her crisis thereof. What I Thought: I've been reading about faith journeys recently. As I get older myself, I'm coming to a better understanding that faith is just that - a journey. I think I've always known this on some level, but the truth of that is becoming more real to me these years. As Winner notes, the faith journey typically begins with a burst of enthusiasm and fervency. Kathy Escobar talked about the same thing in her book, Faith Shift. While Escobar approached the journey from a more academic nature and covered a variety of stages, this book by Winner focusing on what Escobar would call the Shifting stage. The ground is moving under your feet and you're not sure where things are going to land. For Winner, this stage was ushered in specifically by her mother's death and her divorce. Though the two events were years apart, each impacted her faith in big ways, as one might expect. Winner doesn't give many details about either event in the memoir. In fact, as she points out, calling this a memoir at all may be a bit of a misnomer. How I Found It: I haven't read this classic in years, but I picked it up at a used book sale recently. Summary: Meg and Charles Wallace Murry, along with their friend Calvin, are whisked off on a terrifying and tremendous in hopes of rescuing their father. What I Thought: I haven't read this book in so long. It has been years. I know I read it once as a child and I had a loose recollection of the plot. It has been long enough, though, that much of the book still felt delightfully fresh to me. 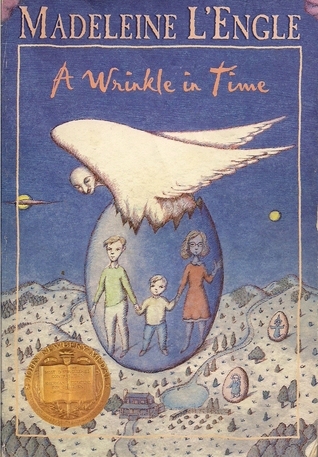 I know there is a fresh adaptation of this coming soon, and so when I both picked up a copy at a used book sale and then there was one in a book of old books my mom gave me, it just felt like all the sides were pointing to a reread. With that said, let's get started! I'm really excited about today's topic. These are books I cannot wait to get my hands on. How I Found It: My favorite podcast, Pantsuit Politics, discussed it for their book club. 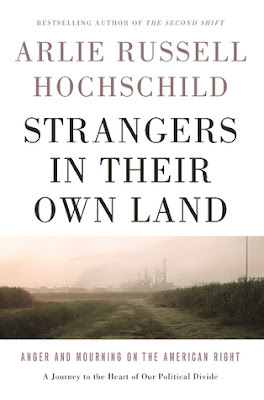 Summary: Hochschild, a member of the UC Berkeley community, sets out to Louisiana to answer what she calls the Great Paradox. Why do some southern conservatives often vote against their own interests? What I Thought: Oh, man. I could talk about this book for days. It is SO GOOD. I'm gonna try and reign myself in a bit, but prepare yourself. I have a lot of thoughts. I picked up this book after the ladies at Pantsuit Politics talked about it for their podcast book club. By the way, if you aren't listening to their podcast, you must. They are on fire and the perfect companions for interpreting our crazy world with nuance and empathy. Once I heard the podcast conversation about the book, I knew immediately that it would be a must-read for. I had also recently had a conversation about American poverty and politics with a dear friend, so I texted him and we decided to read it together. No luck so far getting our spouses interested. We haven't actually chatted about the book yet, but I wanted to share my thoughts while I still have the book from the library and it's all still fresh in my mind. 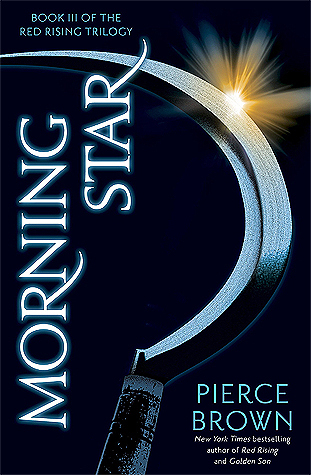 How I Found It: I read the first two books of the series. Summary: System-wide war erupts as Darrow and those loyal to him attempt to end the dictatorial rule of the Golds. What I Thought: I've had an interesting journey with this series. I've liked it, overall, but I've also felt really bored with it at times. The first book was easily my favorite of the series. I struggle some with book two. This one felt so far removed from book one, I'm not even fully sure how I feel about it. First off, let me say how thankful I am that Brown included a "Previously On..." type intro. He summarizes the story of each of the first books in a couple paragraphs. Man, did I need that. If you remember when I read Golden Son, you remember me complaining that it had been too long since I read Red Rising and I was hopelessly lost for a while. Including this summary of previous books did not completely eliminate that feeling for me here, but it definitely helped a lot.